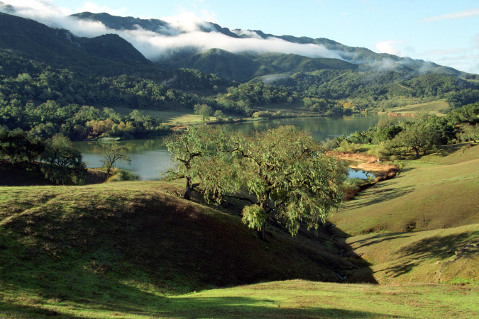 The Alisal Ranch in the Santa Ynez Valley is one of many nearby places to visit away from the Fiesta hordes. OLD FIESTA DAYS: The whole town is shakin’ this week like a giant basket of cascarones, but you just want to get away from it all, right? 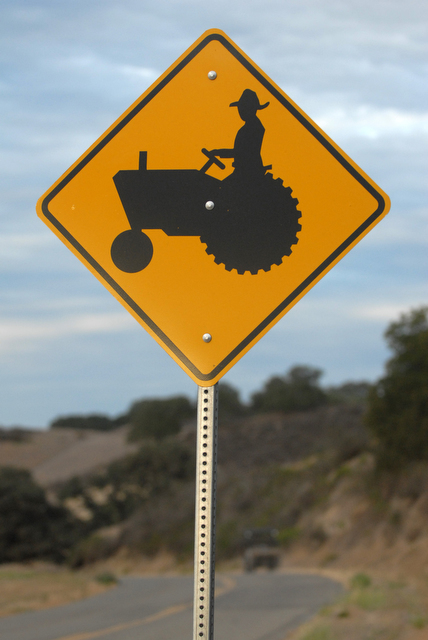 Speaking of which, be on the lookout for L.A. types roaring into town in rented gas-hog convertibles, wearing carefully ripped jeans, getting drunker than a herd of goats, and racing the wrong way down one-way streets. Hit the Beach: Get away from it all by hanging out at the East Beach Grill on East Cabrillo Boulevard. Slurp coffee and dig into pancakes. Watch the tourists in their ugly cutoff shorts. Stearns Wharf is a wonderful place to watch the passing sailboats. Might be a bit crowded this week though. Hit the Road to Carp: Here’s a little beach town that grew. 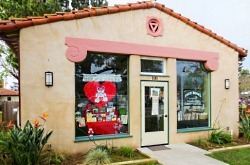 But there’s still a small-town atmosphere in Carpinteria, especially at the town library and bookshop: 5103 Carpinteria Avenue. The salt marsh is great for hiking. It’s foolish to come all the way here without having lunch or dinner at Sly’s, 686 Linden Avenue. There’s a farmers market on Thursdays, 3-6:30 p.m., in the 800 block of Linden. In Carp, smoking is not allowed just about anywhere in “public places,” such as streets and sidewalks. It’s the law. Cars & Coffee: On Sunday mornings, local car buffs gather to display some of Montecito’s most cherished luxury autos, along with some of the funkiest stuff on wheels. No charge. From 8-10 a.m. in the Upper Village parking lot off East Valley Road at San Ysidro Road. Hit the Road to Ojai: This delightful town nestled in the Ventura County mountains is about 45 minutes away. You can get there via Highway 101, but I prefer the scenic route using Highway 150, a winding, up-and-down route you hook onto from the freeway just east of Carpinteria. It’s famous for the Ojai Valley Inn and Spa, a relaxing getaway. Sue and I go there for pub burgers. Ojai is also famous for Bart’s Books, a huge open-air collection of used books at 302 West Matilija Street. Go North: For a scenic treat take Highway 101 north through the Gaviota Gorge Tunnel, then look sharp for the small Old Coast Highway sign on the right and turn off on the narrow, winding road that becomes Alisal Road. It’s a lovely drive that most Santa Barbarans don’t know about. Be sure to stop at the organic food barn for veggies grown right there. 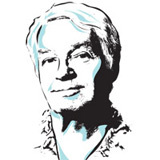 Peer at the pigs. Just beyond that is Nojoqui Falls County Park, great for a picnic. (Sorry, the falls are dry.) Watch for deer. Keep going and you’ll pass Alisal Guest Ranch just before Solvang. Ride a Horse: At the 10,000-acre Alisal Guest Ranch you can bed down in a cute cottage (from $525) and ride a horse (from $55.) (805) 688-06411. Or take the long way around via Highway 101 through Solvang. Eggs and Bacon: After prowling kitschy Danish-themed (sort of) Solvang, head east on Highway 246 a few miles to the tiny, western-themed town of Santa Ynez. There you’ll find places to tuck into eggs, bacon, hash browns, and coffee and eat with the ranchers. Go Wine Tasting: The Santa Ynez Valley town of Los Olivos, made famous by the movie Sideways, offers plenty of sipping opportunities. Just don’t drink and drive; bring a designated wheelperson. Los Olivos Grocery, just east of town on Highway 154, has the best breakfast tacos in the valley. 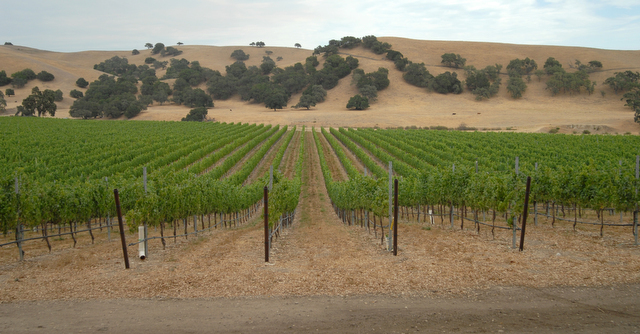 Whiner Tours: Take a corker of a wine tour over to the Santa Ynez Valley or around Santa Barbara’s flatlands. Leave the driving to the pros. Check the yellow pages for info. Max Out the Card: Instead of a De la Guerra Plaza Mexican food pig-out, how about a mega-consumer gross-out at Costco in Goleta, filling your monster basket with China-made plug-in stuff you didn’t know you needed or wanted? Chow down on one of Costco’s cheap but filling hot dogs.